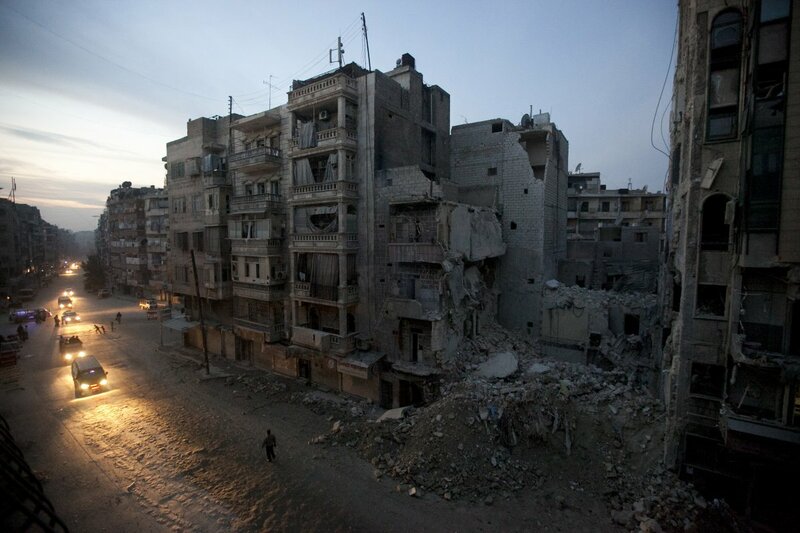 What you are reading is a snippet from life under siege in Aleppo, Syria. The daily struggle of just one resident battling the brutality and punitive measures taken by the US/NATO/GCC/Israeli terrorist hordes nesting in and around Aleppo. The writers name is withheld for security reasons but this information was sent to us at the Syria Solidarity Movement today. “We have water today, after 10-14 days without water service from the government. We spent all the day filling up all empty containers and bottles, the bathtub and water tanks and cisterns at home and on the roof. We had already managed to fill some of them with what we managed to purchase from a merchant selling water! Aleppo ‘s water comes directly from the Euphrates. In the 1990s Turkey attempted to prevent this water from reaching us, today it is ISIS controlling the dam and most of the Euphrates. They have also occupied the chlorine factory which was used to sterilize the water. Now the chlorine is being used by ISIS for their chemical attacks. All this while the UN continues to blame the Syrian Army and Government. They try every way to blame the Syrian Government. Either they claim it is the Syrian Government using chlorine against innocent people or they are failing to prevent it getting into the hands of ISIS. It is thanks to ISIS [not the Syrian Government] that Aleppo is thirsty! June 23, 2015 in Aleppo, Syria.